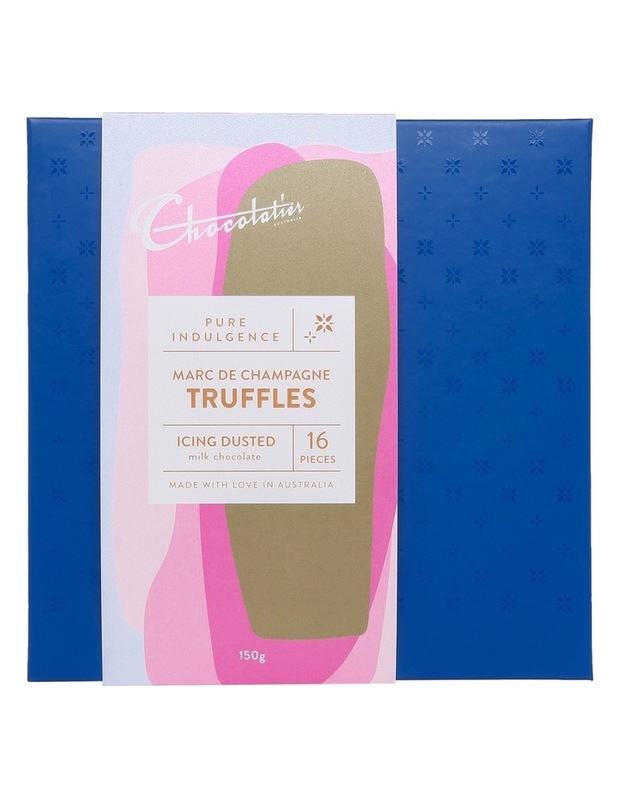 The Pure Indulgence Marc De Champagne Truffles Box from Chocolatier contains 16 hand-rolled & icing dusted Marc De Champagne chocolate truffles. 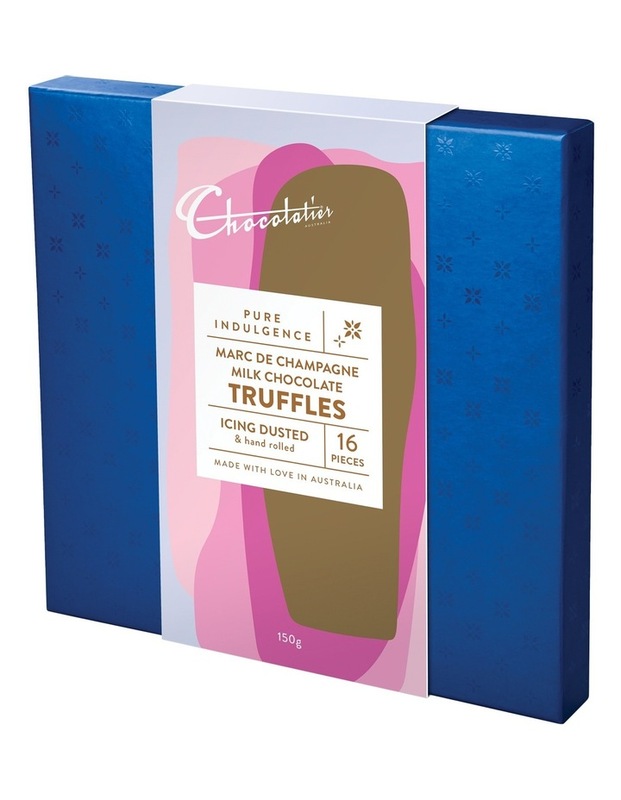 For over 30 years, Chocolatier, a proud and passionate Australian family run business, has been honing their artisan methods in the crafting of fine chocolates, pralines and truffles. 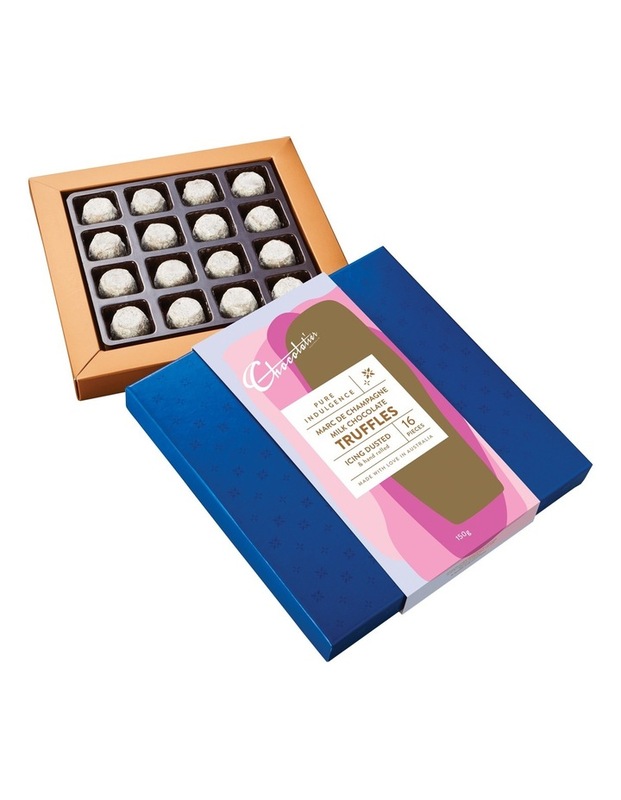 Made using the finest ingredients, for the ultimate gourmet experience Chocolatier specialize in creating luxurious, European-style chocolates in Australia. ALLERGY ADVICE: Contains MILK, WHEAT and SOY. May contain traces of PEANUTS and TREE NUTS.